Former finance minister P Chidambaram rejected the ruling BJP's claim of achieving the highest growth rate under the NDA government on Saturday, saying it was based on "bogus numbers" produced by the Niti Aayog. The senior Congress leader took to Twitter to say that these numbers were rejected by every economist and statistician of repute. "The BJP's claim of 'highest growth rate' under NDA is based on the bogus numbers produced by Niti Aayog," he wrote on the microblogging website. 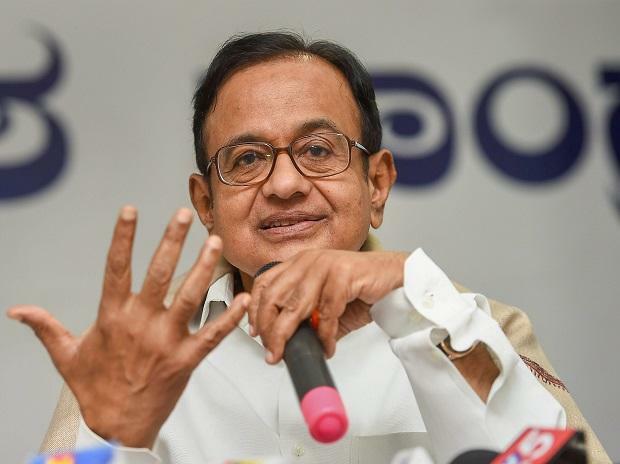 Chidambaram claimed that the CSO numbers published earlier and those released by the NSC Committee on Real Sector Statistics in August last year were the only credible ones. "UPA 1 years (2004-2009) were the best growth years since Independence and in fact the best ever," he said. Another senior Congress leader, Ahmed Patel, also took to Twitter to criticise the Bharatiya Janata Party-led government's economic policies. "In 4.5 years, India's debt increased by 50% to 82 lakh crore. Reckless spending & creating liabilities for future governments are key features of their so called 'Gujarat Model'," he said in a tweet.